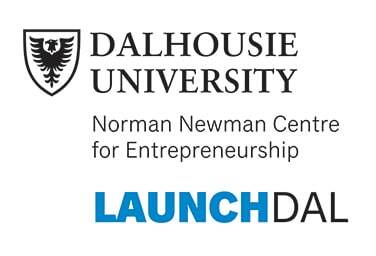 Launch Dal’s Creator Series is a free but challenging program for anyone over the age of eighteen. It teaches those with a non-technical background how to create physical prototypes using free and opensource resources. This consists of coding, electronic circuitry, 3D modelling and 3D printing. The goal of the program is to create more hardware-based products and start-ups within the Atlantic Canadian community. Every week, each participant is expected watch a video to learn the curriculum, hand in an assignment for credit, and attend the weekly class to work on an in-class exercise. This occurs over a ten-week period, and those who complete the requirements graduate from the program with a certificate. The program also offers every participant the opportunity to create a proof of concept for a hardware-based idea. Teams within the cohort apply for a $1,000 grant and five are selected to build their prototypes. Completion of the prototype and pitching at the Creator Series Showcase results in each team receiving additional certification. The Creator Series is run and taught by local entrepreneur and innovator, Cat Adalay, who is the CEO and Co-founder of Aurea Technologies. The course was introduced to address the lack of hardware-based start-ups due to a lack of hardware-based expertise. Launch Dal has a prototyping space for the Creator Series cohorts, complete with a Formlabs Form 2 3D printer.